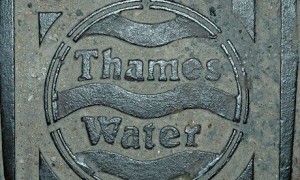 Water provider Thames Water has insisted that it will continue to investigate ongoing flooding problems in Stortford after heavy rain left roads in the area unable to be used for the second time in a week. Not only does the idea of flooding affect homeowners, but also people with businesses too. It would be within the interests of the residents of Stortford and Thames Water to look into companies such as Sheet Piling UK Ltd, who can potentially solve this issue of flooding, with the use of plastic piling used for Flood defence walls. This may be a good route to go down if there isn’t a solution so far. The section of road in question at the Parsonage Lane junction has been famous for succumbing to flooding during heavy rainfall for several years. However, in the last three years the problem has intensified and the issue has raised much debate on social media. Many people were questioning how the flooding can keep happening, whilst others questioned what could be done to prevent it from happening in future. In October 2013, Thames Wate r said that it was working with highway contractors Ringway to attempt to find a solution to the problem. The company said that a section of the sewer had been thoroughly cleaned but as the problems were still apparent, further investigation was necessary. The provider said that it intended to carry out this further investigation by using CCTV cameras to monitor the problem. However, no date for the surveys to be conducted has been announced.